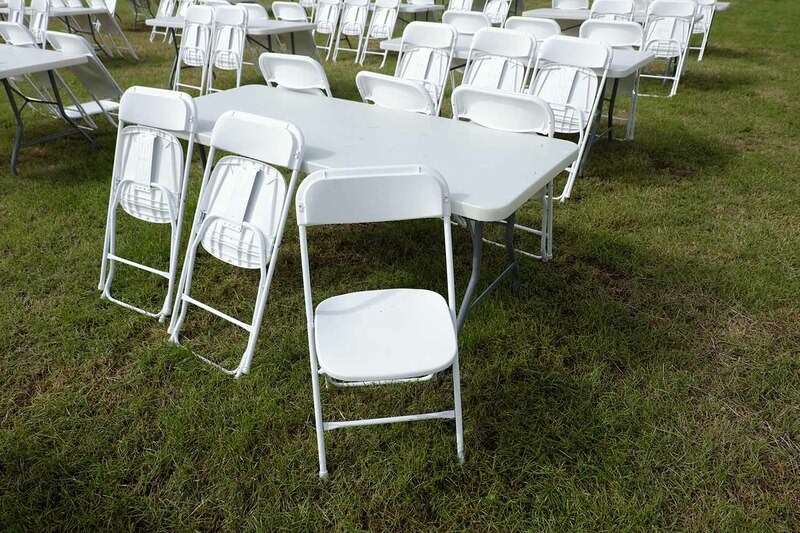 Our high-quality plastic 6 foot tables with foldable chairs are ideal for both indoor and outdoor use, for a range of events including festivals and parties. 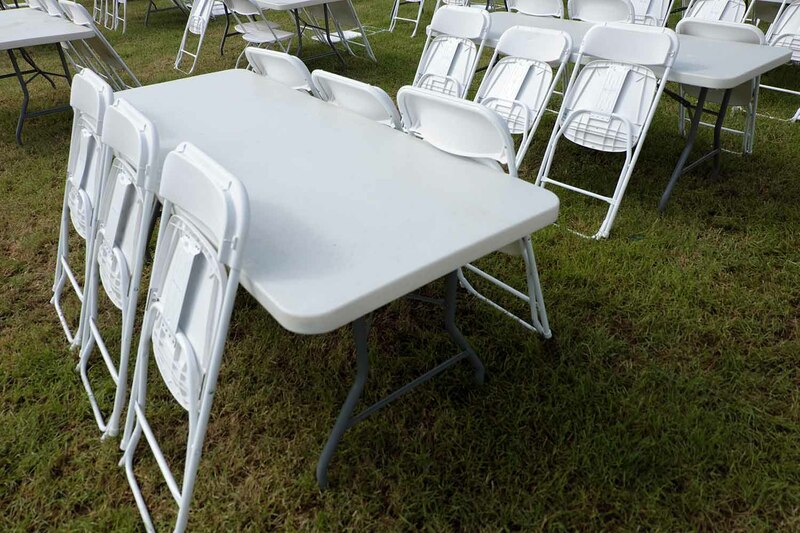 Lightweight and easy to carry and install, they’re a great way to provide adequate seating for your guests. We have 200 tables available to hire and up to 1200 chairs. Each table comfortably accommodates 6 chairs. Pricing is per unit and excludes delivery. Lightweight plastic tables and foldable chairs. £6.95 per table, per week. £2 per chair per week. If you’d like to hire this item, please fill in the form below. Please include your event date, location, and if relevant, the quantity you’d like to hire. A member of our friendly team will be in touch shortly to arrange and confirm your hire.